"Thrilling … A fresh and original story; a standout in the fantasy genre. The romance between Cal and Meg blends envy, desire and uncertainty with a potent authenticity. Written with a sparse lovely poetry, The Rift demands an immersion that is intoxicating. I can’t recommend this enough." Isabelle Carmody, author of The Obernewtyn Chronicles and The Gathering. "Gripping, brutal, tender. You won’t be able to put this book down." Michael Pryor, author of The Laws Of Magic series and Gap Year in Ghost Town. Alison Goodman, author of the Lady Helen series and the Eon series. "Masterful and brilliant! Beautiful world building, stunning writing, a cracking plot, perfectly paced and hot romantic tension. Craw has outdone herself." Fleur Ferris, best-selling author of Risk, Black, Wreck and Found. 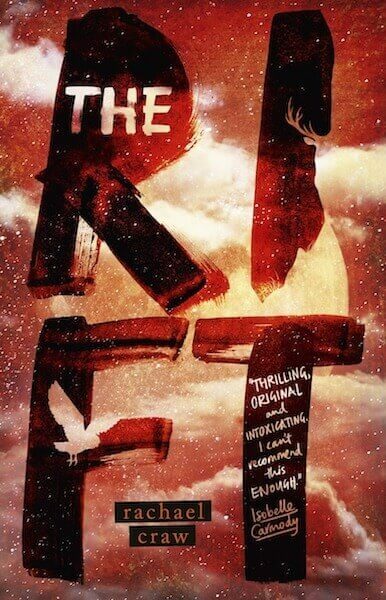 Read the first chapter of The Rift here. 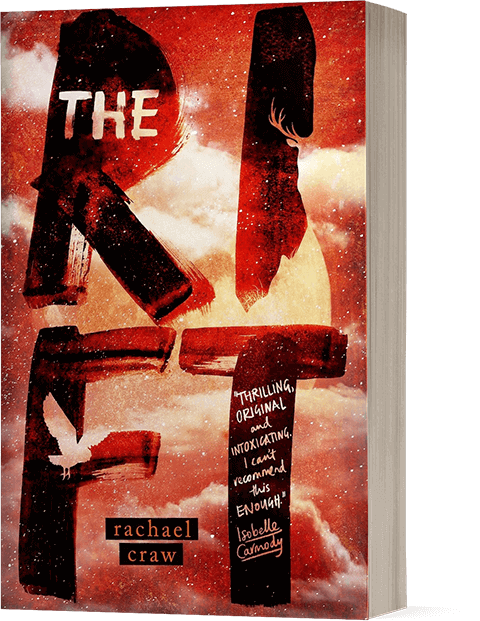 The Rift is set on a mysterious island, peopled by an isolated community with ancient traditions. I fell in love with the compelling and haunting atmosphere of Black Water Island and its inhabitants. I often write to music and these songs reflect that haunting atmosphere, the characters and relationships. Songs that helped me with the atmosphere of Black Water Island: Song for Jesse & The Proposition by Nick Cave and Warren Ellis, Home by Elvett, In the Pines by Inga Liljeström. Songs that reflect Meg’s particularly complex relationship with the Head Ranger on Black Water Island: Shape Shifter by Lera Lynn, If I Had A Heart by Fever Ray, Conman Coming by Monica Heldal and Snake Song by Townes Van Dandt. After you’ve read The Rift you might like to explore the playlist and see if you can pick up on some of the relevant themes in the songs.